What Is a Betaine HCL Activator? Which B Vitamin for Energy? Pyridoxine is the most common technical name for vitamin B6, although vitamin B6 includes two other related chemical compounds as well. 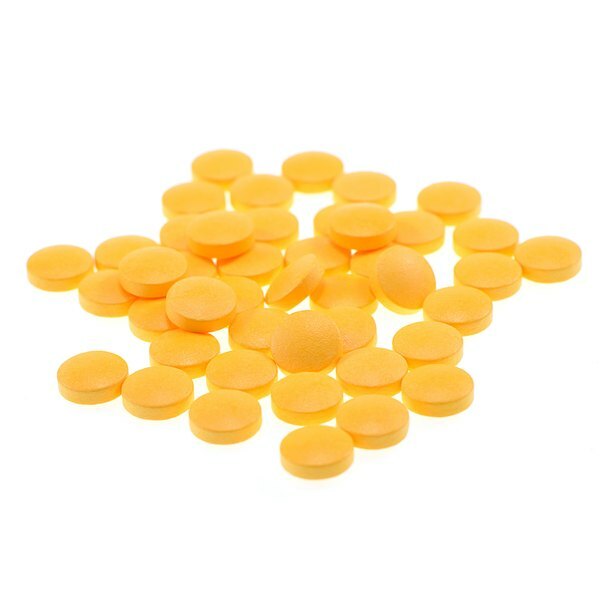 Pyridoxine hydrochloride, or pyridoxine HCl, is a form of vitamin B6 that can be taken as a supplement, and is mainly used for treating vitamin B6 deficiency. Taking pyridoxine HCl to treat serious conditions or taking high doses should be done only under a doctor's supervision. Vitamin B6 includes pyridoxine, pyridoxal and pyridoxamine, which are three closely related chemical compounds, according to Merck Manuals Online Medical Library. The body metabolizes these substances in to pyridoxal phosphate, which acts as a coenzyme in biochemical reactions in the blood, central nervous system and skin. Vitamin B6 is also important for fat, carbohydrate and amino acid metabolism. Pyridoxine HCl is available in tablets, capsules, liquids and prescription-only injectable solutions. It is also available in bulk form as a white powder with a pH of 2.4 to 3.0, according to ChemicalLand21, meaning it is acidic. The bulk form can be made into supplements or used as a food additive to fortify foods with vitamin B6. Dietary deficiency of vitamin B6 is rare because the vitamin can be found in most foods. A genetic metabolism disorder can cause a deficiency known as a secondary deficiency, and pyridoxine HCl can treat this problem, according to Drugs.com. Some medications, including birth control pills, anti-seizure medications, the antituberculosis drug isoniazid, corticosteroids and the blood pressure medicine hydralazine also can deplete vitamin B6, as can excessive alcohol intake. Taking pyridoxine supplements of 50 to 100 milligrams (mg) once per day usually corrects the deficiency in adults, explains Merck Manuals. Higher doses of pyridoxine HCl may be useful in the treatment premenstrual syndrome, morning sickness during pregnancy, carpal tunnel syndrome, sideroblastic anemia, tardive dyskinesia, hyperoxaluria type 1 and hydrazine poisoning, according to Drugs.com. Epilepsy Ontario notes that pyridoxine HCl helps treat seizures in infants with pyridoxine deficiency. Common side effects associated with pyridoxine HCl include nausea, headaches and drowsiness, as noted by Epilepsy Ontario. Taking doses higher than 500 mg per day of pyridoxine can lead to peripheral neuropathy, according to Merck Online Medical Manuals. Symptoms typically affect the feet and hands, with progressive loss of coordination, and severe reduction in senses of vibration and position. Not everyone fully recovers from peripheral neuropathy symptoms after discontinuing the supplement. Is B12 Water or Fat Soluble?